Gotten used to seeing newbies try out their best 3 minutes at a regular comedy open mic? It’s time to level up! 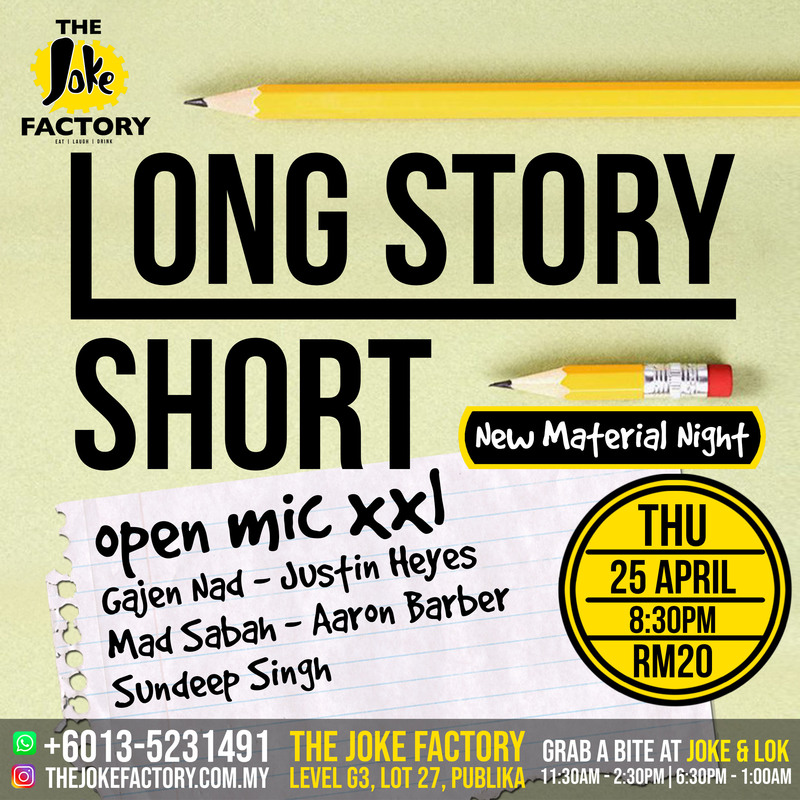 In this curated open mic, regular performers and established local comedians will test out their longer material. Watch live as experienced comics test out their conceptual pieces, tricky premises, and storytelling skills just for you! A weekly improv comedy show with a rotating cast of comedians every week.  Comedians will perform in scenes, segments and games that are entirely unscripted(by God’s will) and/or predetermined by suggestions from the audience – whether the show is great or not it’s in YOUR hands! Ever wondered where the funny women comedians are? Wonder no more! This open mic comedy night is a night where regular female open micers and established comediennes try out their new materials! 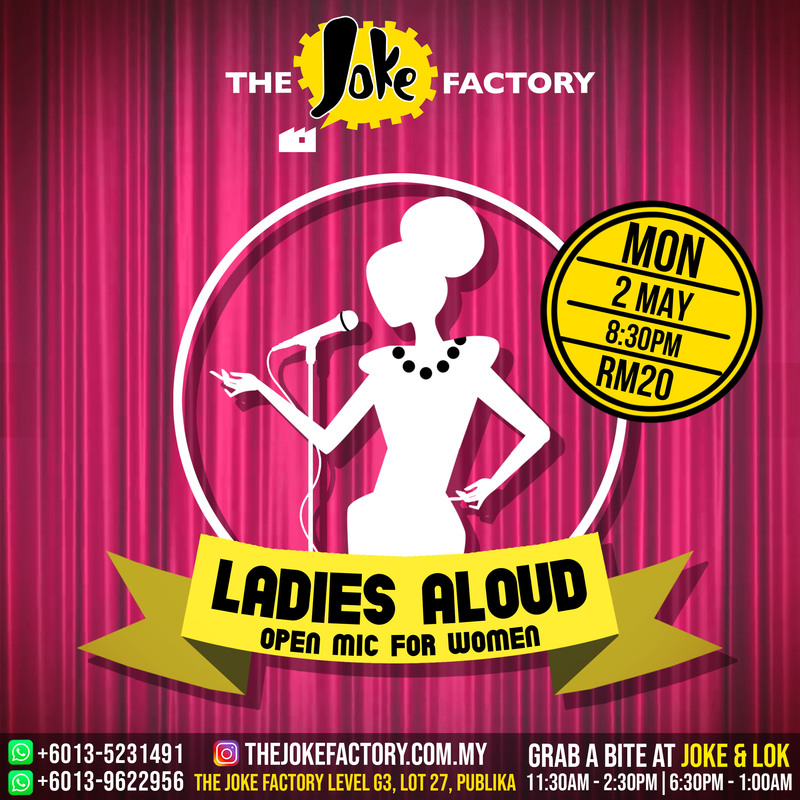 And if you’re a lady who wants to try out standup comedy for yourself, this is the place to sign up. Come and show your support for the ladies! 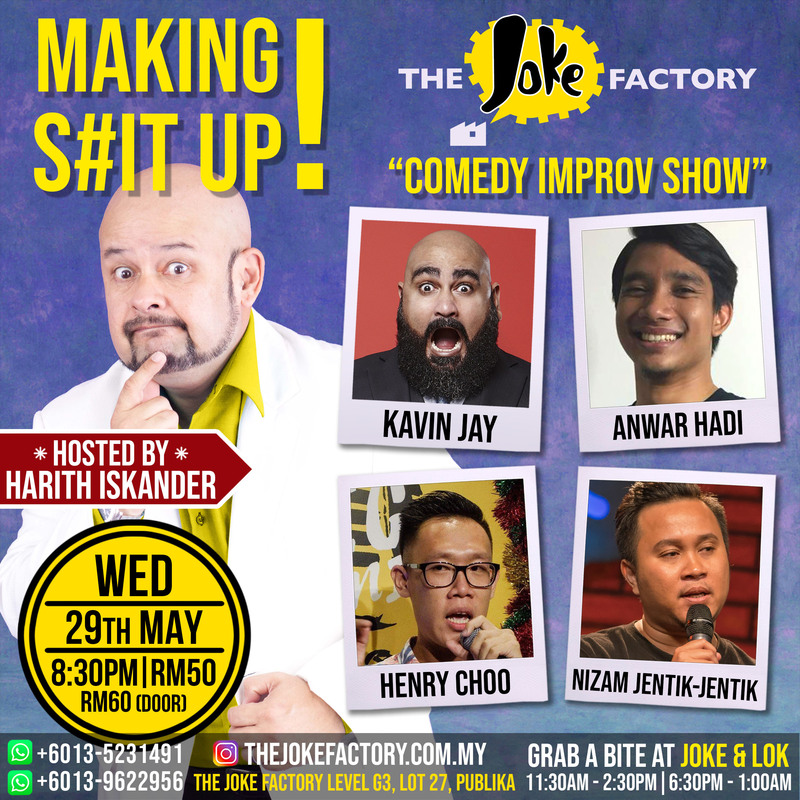 Malaysia’s biggest comedian (by size) is taking the stage ONE MORE TIME at The Joke Factory! 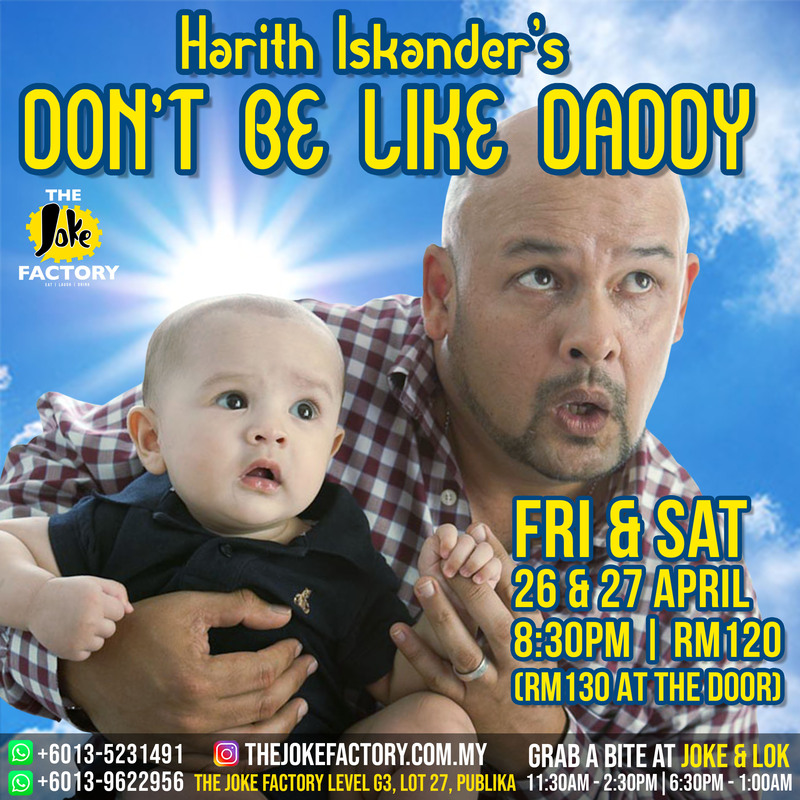 He’ll be doing two nights so if you missed him the first time, here’s the chance to catch him again! 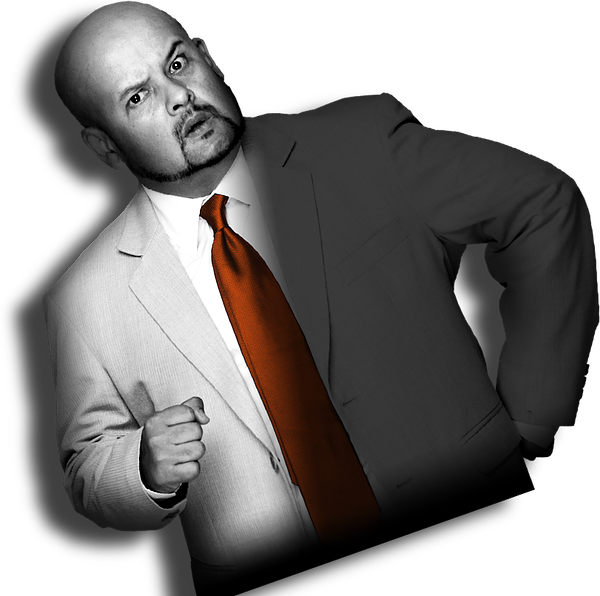 With his deep baritone voice and laid-back charm, Papi Zak’s comedy stylings are sure to tickle your funny bone! 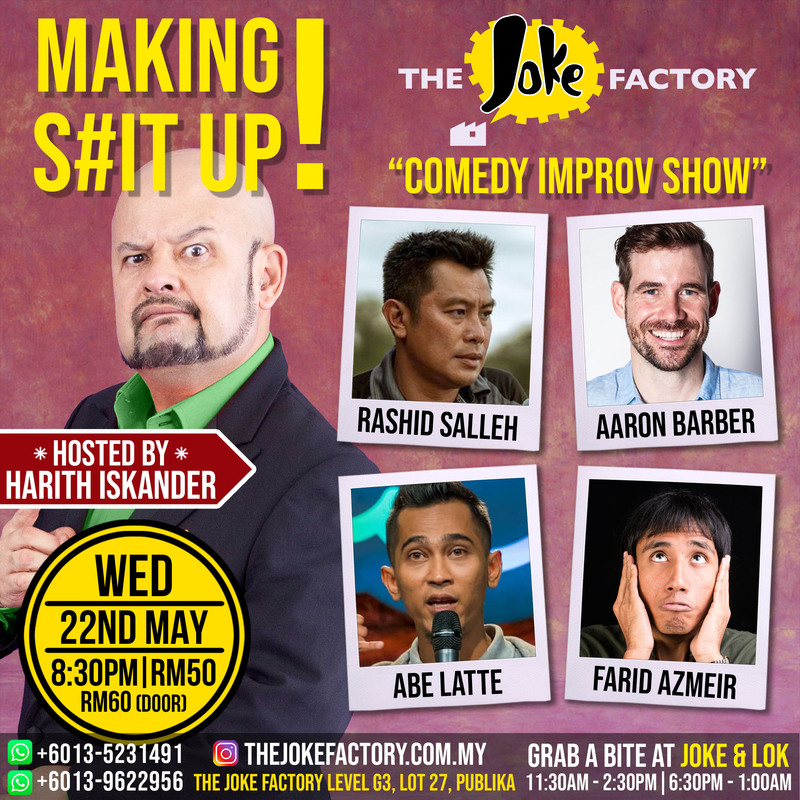 Papi Zak has firmly established himself as one of the golden boys on the Malaysian comedy circuit and he just so happens to be the “biggest” Malaysia have to offer. 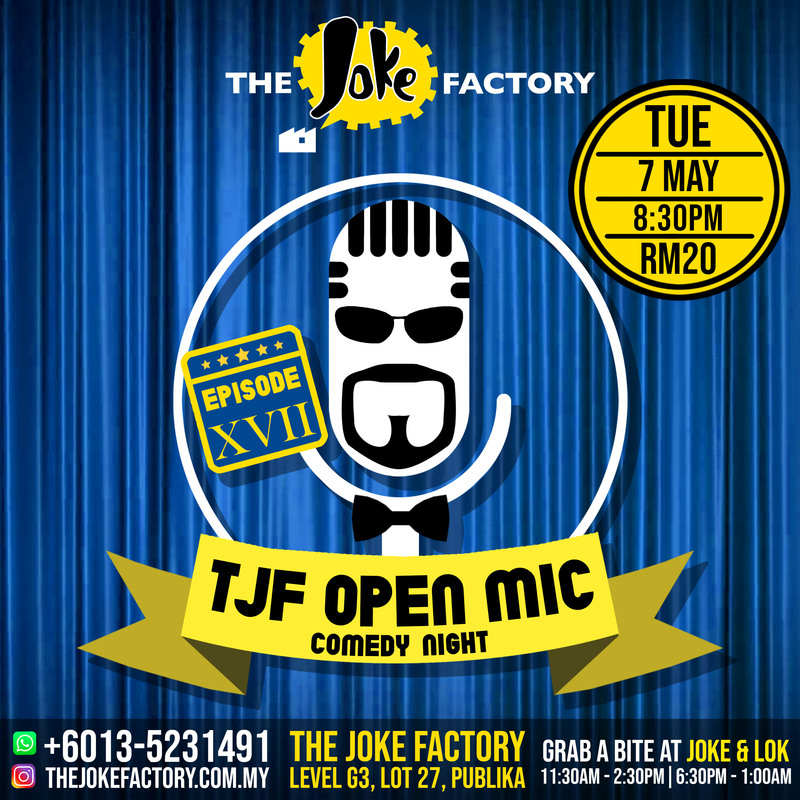 He’s been writing, performing and doing stand-up comedy for over 12 years and continues to bring his quirky brand of humour and witty observations on the absurdities of every-day life to all this performances. 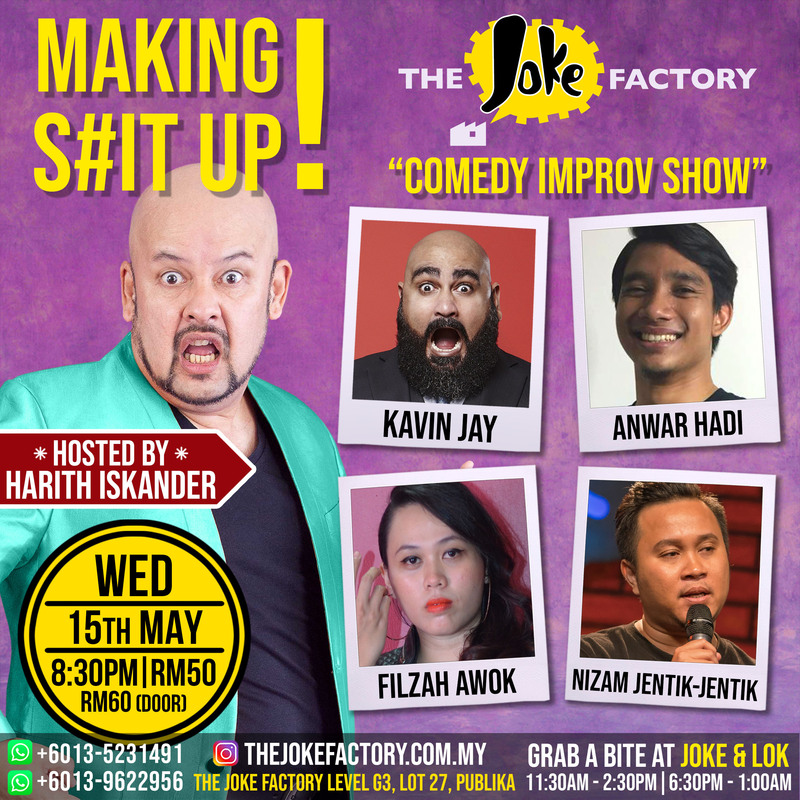 Zak has worked in production as well as on radio (on both LiteFM and REDFM) and his comfortable presence in front of a camera landed him jobs on TV as the host of two lifestyle programs – ‘The Halal Foodie’ and ‘Happy Endings’. Zak is currently the brand ambassador for Mr. Potato. Zak’s stand up routines are tremendous and people of all ages enjoy the style he brings to the table and this easily translates to the corporate stage, which makes him not only a great comedian to have but also a wonderful host! 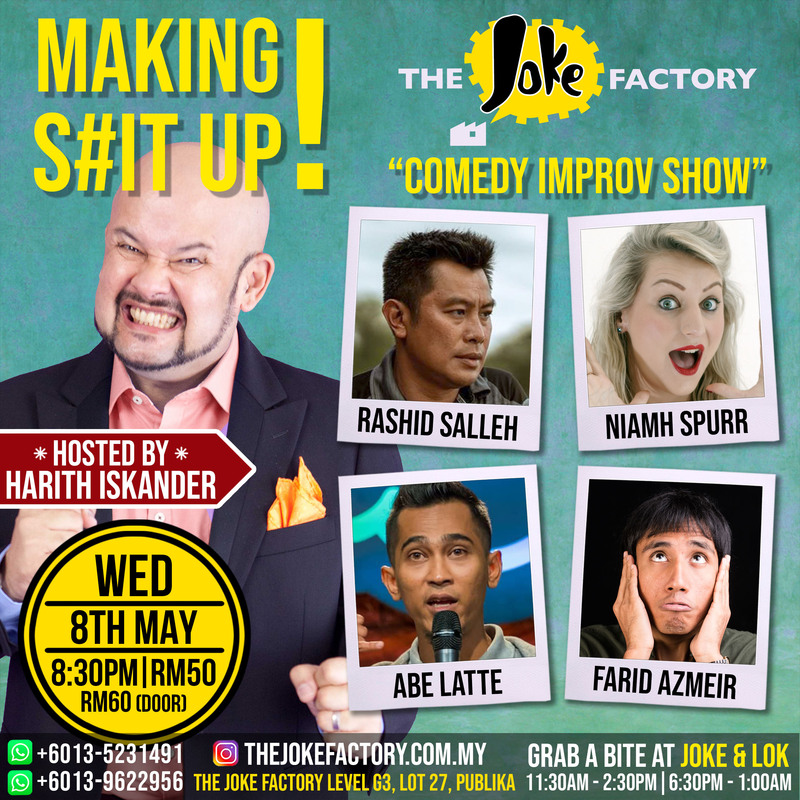 Look who’s headlining at The Joke Factory for the first time! It’s Emily Tresidder! Sydney-born, Melbourne-based comic Emily Tresidder has cemented her spot as one of Australian comedy’s most promising up-and-coming comedians. After making her mark on the Sydney comedy scene with sketch group Not Suitable For Drinking, Emily took her solo stand-up show debut, Absolutely Ridiculous, to 2015’s Perth FRINGE WORLD and Adelaide Fringe Festival, with both seasons collecting rave reviews from critics and audience members alike. Armed with her sharp wit and endearing personality, in 2016 and 2017 Emily continued to captivate audiences across the nation’s comedy festivals and internationally at the Edinburgh Fringe with her smash hit shows Crazy Is, Not Your Ex and No, You Hang Up! Is sliding hot meat off a stick a thing you do? 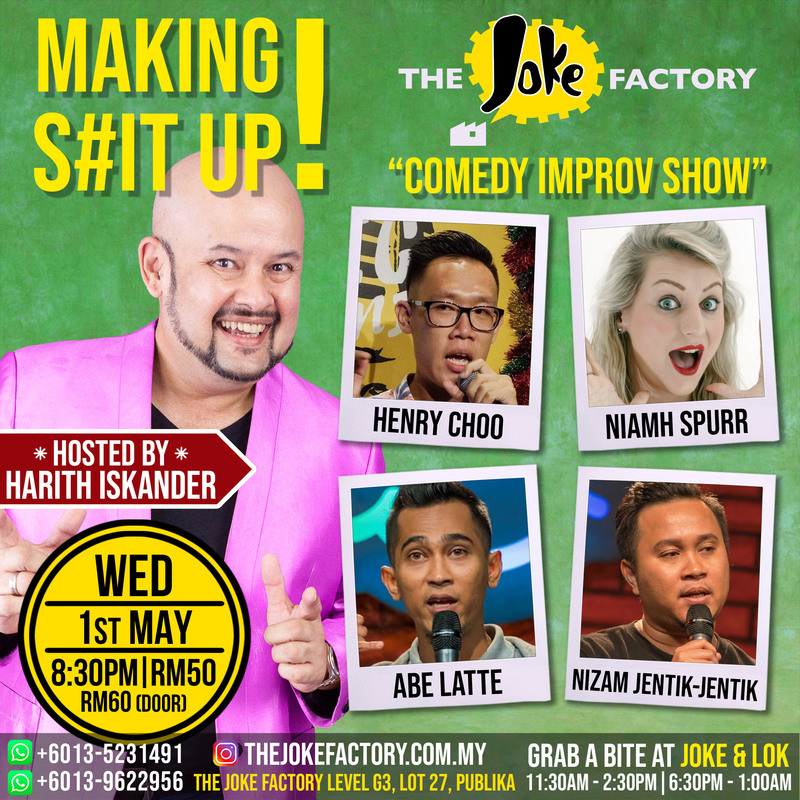 Get Burgers, Hot Dogs, Snacks and Drinks Plus the BEST LOK-LOK in KL with mouth watering soups and sources at Klang Valley is Hottest Venue. 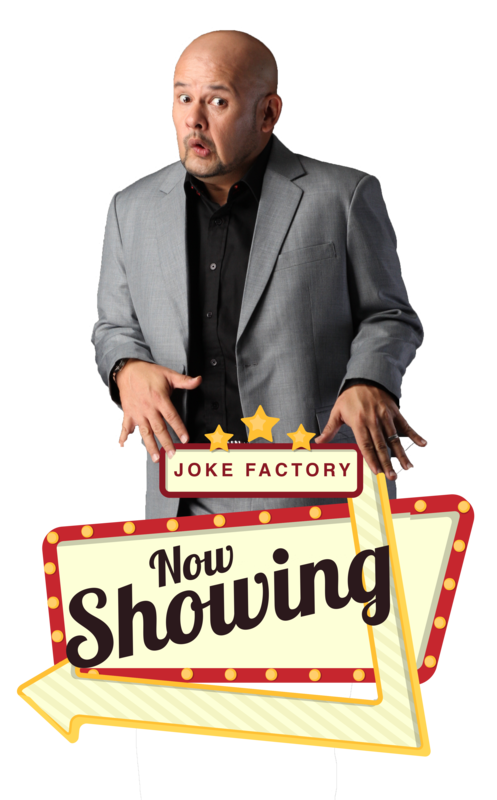 We have comedians for any occasions, anytime, anywhere, when you’re ready to laugh. The Joke Factory Theatre is not only a performing space, but also an educational hub, corporate venue & multipurpose hall to suit every needs. Do you have what it takes to make our Audience Laugh? We want Some Real Talent, Show us some skills.